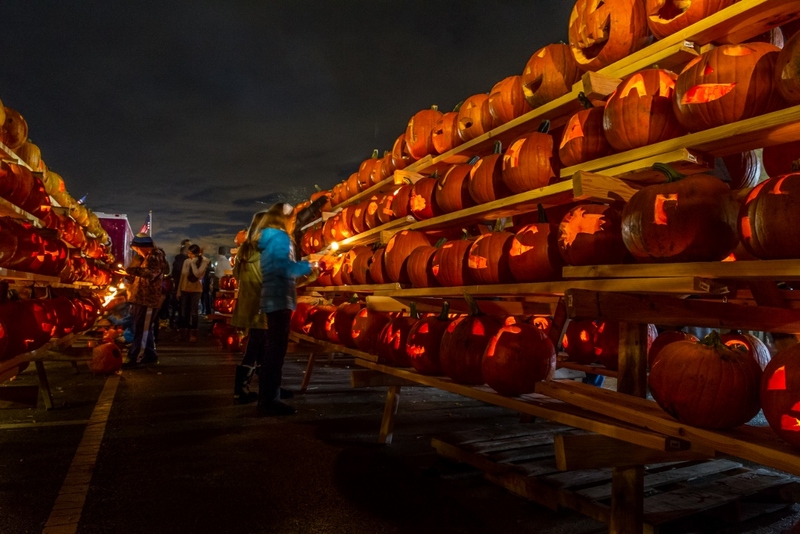 Photo courtesy of The Great Highwood Pumpkin Fest Walls of lit-up pumpkins are the signature feature at this popular, family-friendly fall fest in suburban Chicago. No matter where you live in the United States you can find a family-friendly fall festival close to your home, however, some offer a more unique take on your traditional autumn festival. One in particular, the Great Highwood Pumpkin Festival, is one of those events that is truly different than all the rest. If you’re in the Chicago area during fall this year, you don’t want to miss this one-of-a-kind event! Fall and pumpkin festivals in Chicago are everywhere, but one that stands out from the rest as a fun spot for families is The Great Highwood Pumpkin Festival, in north suburban Highwood, Illlinois. It’s about a 28 mile drive from Chicago. What Makes The Great Highwood Pumpkin Festival Unique? 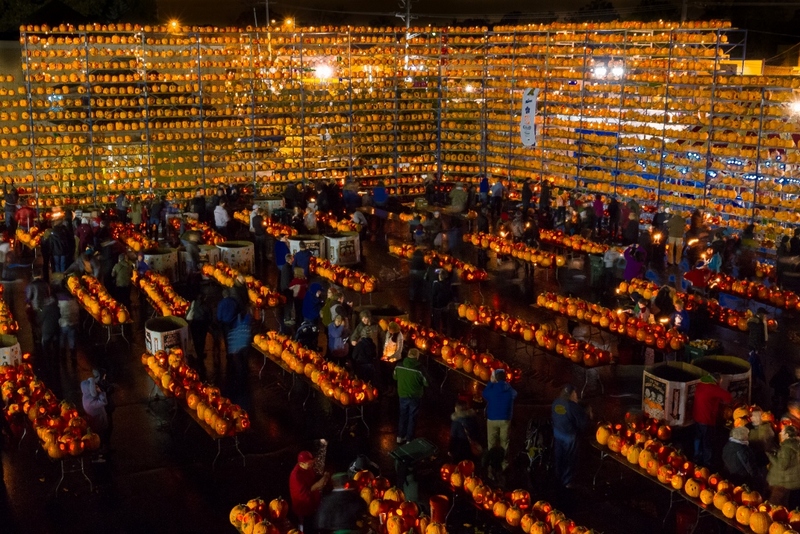 During this year’s festival, from Oct. 9-11, 2015, they will attempt to break the Guinness World Record for the most pumpkins carved and lit at once – 30,581. Record or no-record, it’s worth a trip out to Highwood for this fest. While it has all of the things you’d expect at a fall fest, like hay rides and kids costume contests, it has one really cool, unique feature: a huge wall of lighted pumpkins (it makes for cool nighttime photos). The winner of ABC’s “The Great Christmas LIght Fight,” Brian Larsen, sets the lit-up wall to music every night at 6:30 p.m., 7:30 p.m., and 8:45 p.m. Walls of lit-up pumpkins are the signature feature at this popular, family-friendly fall fest in suburban Chicago. 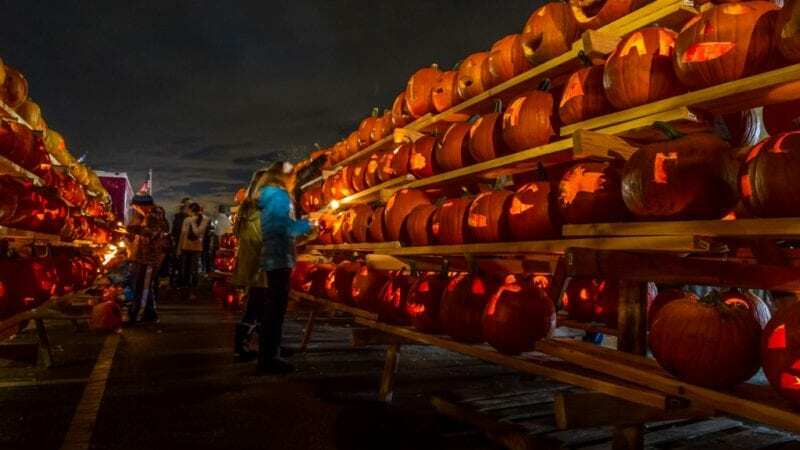 Perhaps the best thing about this pumpkin festival in Chicago is that they’re partnering with the Autism Society of Illinois, and some of the proceeds from the fest will be donated to the organization. In the neighboring suburb of Highland Park, I’m a big fan of Real Urban Barbecue, a family-friendly, order-at-the-counter BBQ spot in downtown area (which is a great place to shop, by the way). The BBQ is delicious (try the burnt ends – they’re fantastic), plus lots of great sides including some killer mac and cheese. For dessert, try the single-sized, drool-worthy pecan pie. 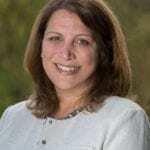 Ravinia, a popular and lovely live-music-in-the-park venue, has concerts that run through December. On Oct. 24, they have pianist David Kadouch, as well as “From Vaudville to Gershwin, Jewish Roots of Broadway Chicago A Cappella” Nov. 14.